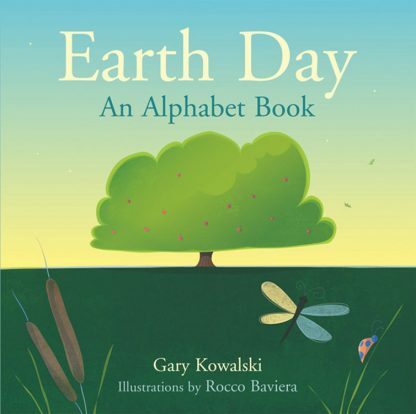 Children and adults will delight in Earth Day, a poem of gratitude that celebrates earth's diverse species, from apricots to groundhogs to junebugs, from quahogs to zinnias, zucchini and zebras with bright and whimsical illustrations. In alphabetical order, the wonders of nature leap from the page, reminding readers that every day is a reason to give thanks and that miracles are as simple as ABC. And for the alphabet of wonderful things that are as simple as ABC. * Introduces children to the richness and variety of the natural world. * Lively, whimsical illustrations will delight parents and children alike. * Age-appropriate, easy-to-read alphabet poem encourages gratitude. Gary Kowalski is a minister, author and activist for the ethical treatment of animals. He has written numerous books, including The Souls of Animals and Revolutionary Spirits: The Enlightened Faith of America's Founding Fathers. Kowalski serves the First Unitarian Universalist Society of Burlington, Vermont. Rocco Baviera has been illustrating children's books for more than 20 years. His numerous awards include the The Society of Illustrators in New York, Communication Arts, Applied Arts, Child Magazine, American Library Association and the Art Directors Club of Metropolitan Washington. He lives in Ontario, Canada.